The Reformed All Progressives Congress, R-APC, has said Nigeria deserves better than a president on a sick bed. R-APC said this while reacting to a recent statement credited to the Minister of Transportation, Rotimi Amaechi that Buhari will win in 2019 even from a sick bed. In a chat with Sahara Reporters, the National Publicity Secretary of the R-APC, Kassim Afegbua, said Nigeria needs a better president to provide leadership in the 21st century. According to Afegbua, “Unknown to Hon. 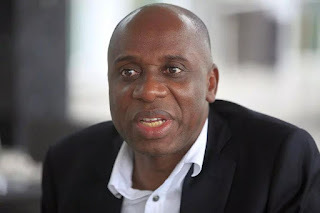 Minister Amaechi, Nigerians do not want a man on a sick bed, hence, there is a general consensus that this current leadership should quit.